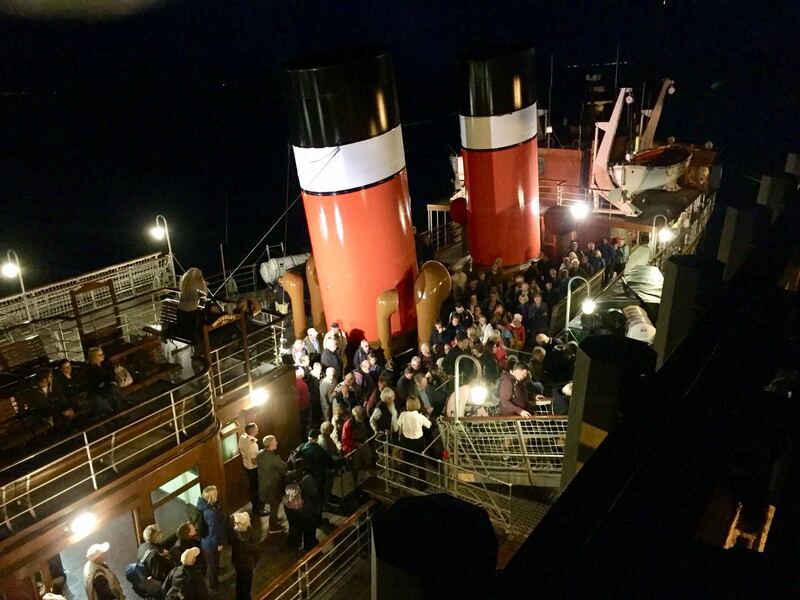 Waverley arrived on the Bristol Channel on the afternoon of Thursday 30th August having sailed overnight from Liverpool. All five sailings which were operated between Friday 31st August and Tuesday 4th September did so with excellent loadings. Three of the cruises 'sold out' in advance such was the demand. 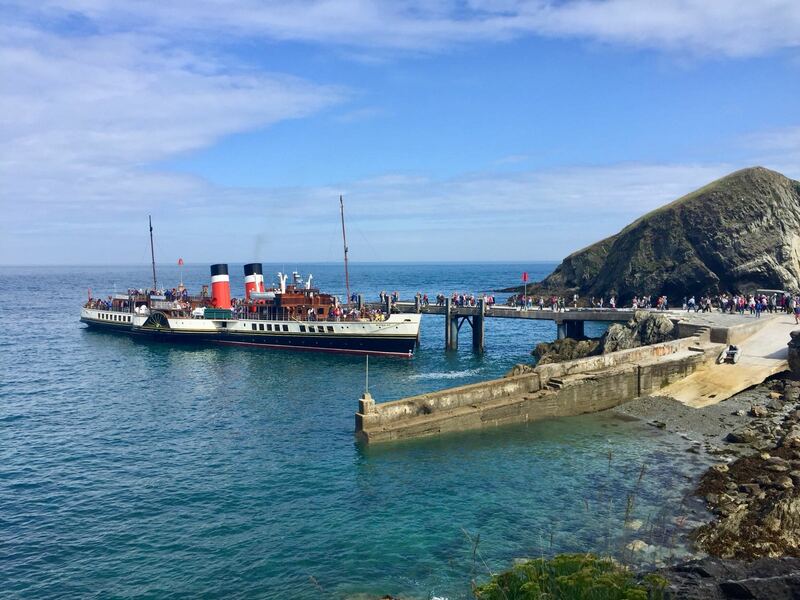 Waverley's first sailing on the Channel on Friday 31st saw her on the popular crossing from Swansea to Ilfracombe for her first visit to the Victorian seaside town for two years. This particular crossing was a long standing sailing for Balmoral each on a Wednesday during the peak summer timetables for many years. After returning to Swansea Waverley made her way up channel to anchor off Clevedon ahead of her Saturday excursion from Clevedon to Penarth and Ilfracombe. 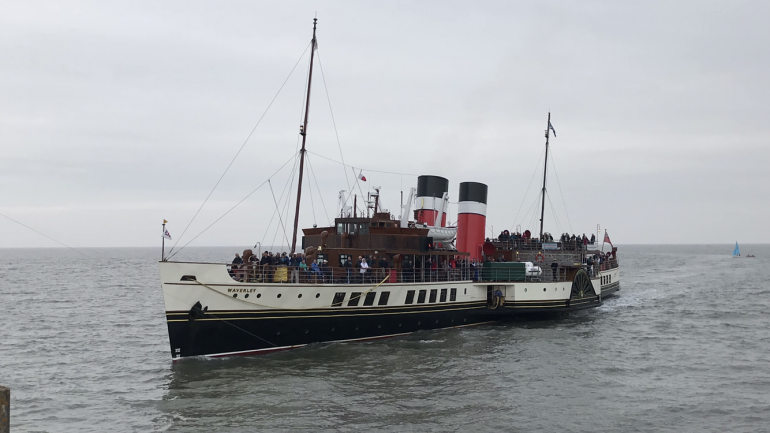 Waverley departed Clevedon at 9:30am and made her way across to Penarth to a large awaiting crowd on the Victorian Pier which first opened in 1898. The entrance to Penarth Pier with the refurbished Pavilion. 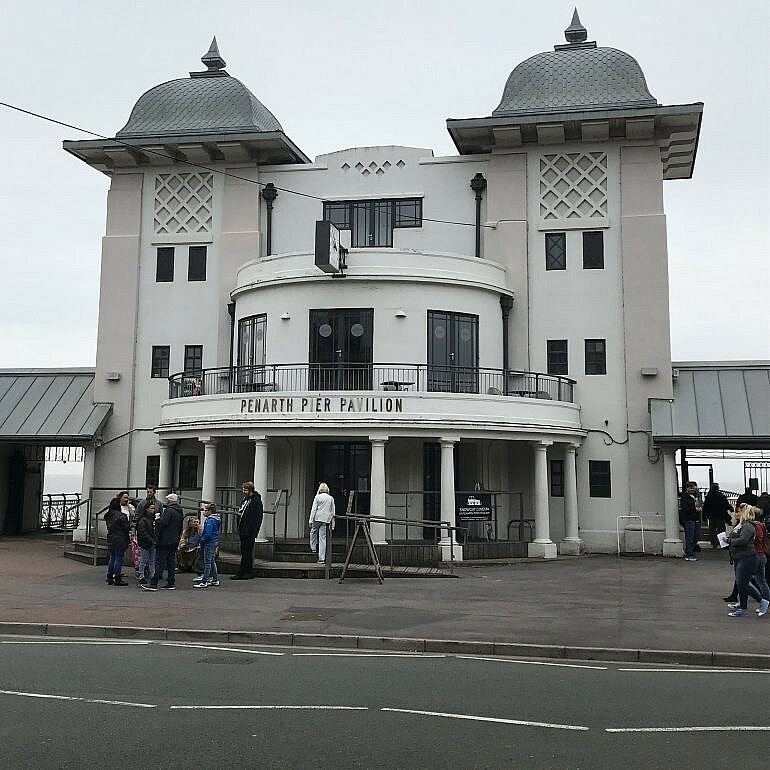 Passengers for Waverley start to gather on Penarth Pier ahead of her arrival from Clevedon on Saturday 1st September. On leaving Penarth there were just over 700 aboard and the passage down channel saw her doing over 16 knots, indicating the tide was with her. Waverley arrives at Penarth Pier to berth 'port side to' due to the tide being on the ebb. On arrival at Ilfracombe the town crier was on the pier to welcome the steamer. He issued his usual advice "Don't feed the seagulls. If you like them that much take one home with you!" 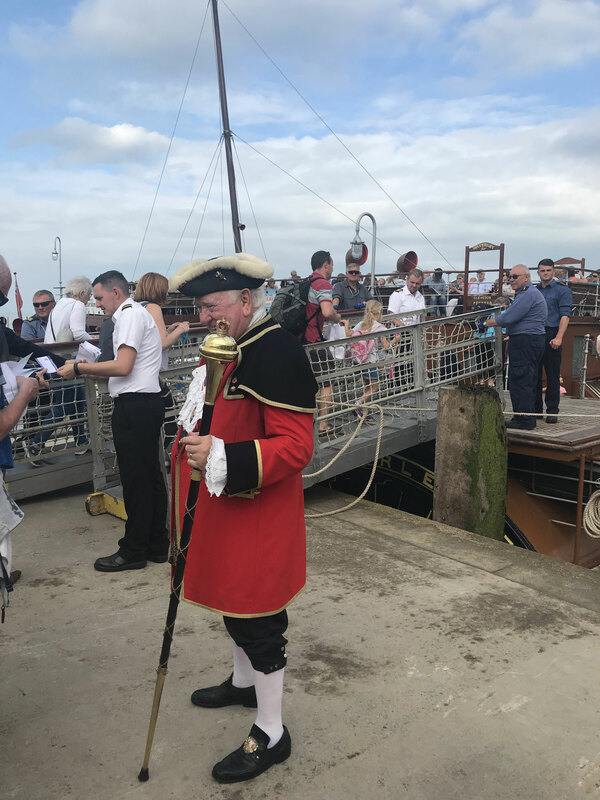 Ilfracombe's town crier thanks Waverley's passengers for visiting the town. Damien Hurst's controversial stainless steel and bronze statue Verity on Ilfracombe Pier. 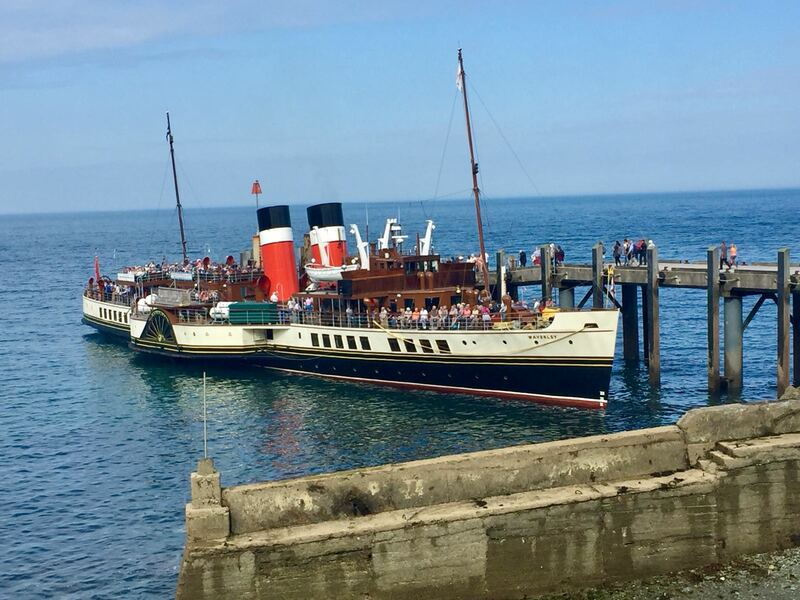 During her visit Waverley attracted a lot of attention with many visitors and locals taking a walk down the pier to see her berthed on the low water berth. Then at 5pm prompt the last sea-going paddle steamer in the world announced she was leaving with three blasts on the whistle. 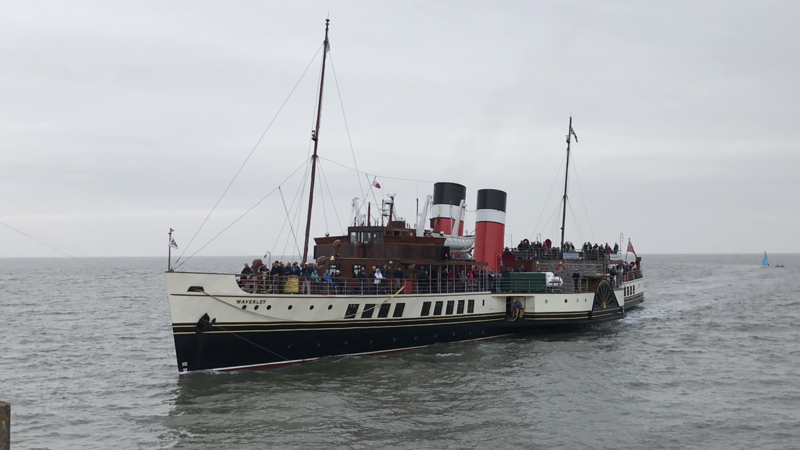 Waverley's departure was certainly caught on camera with plenty of mobile phones recording her going full astern into the Bristol Channel. 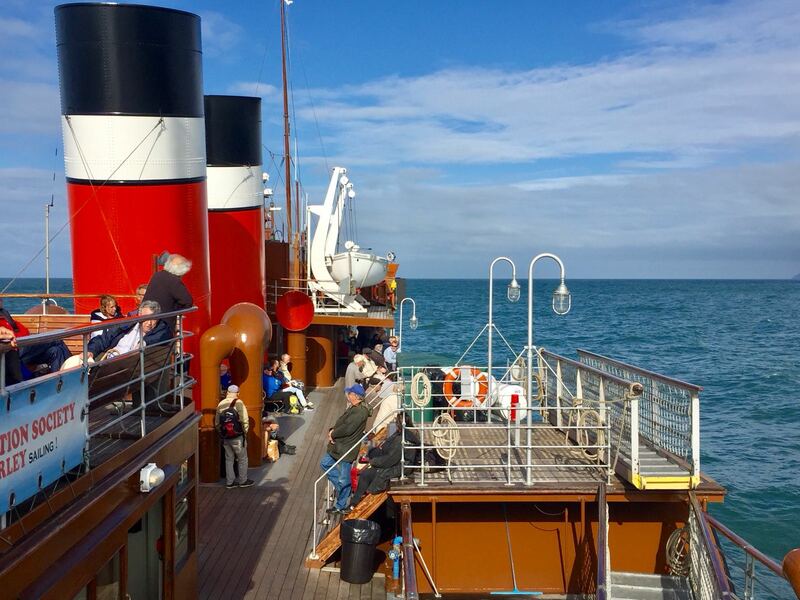 As Waverley made her way up channel the sun shone and all those aboard were given an excellent cruise home. On arrival at Penarth the sun was setting and after disembarking her Welsh passengers and taking on some Welsh water Waverley was off to Clevedon where she anchored overnight. 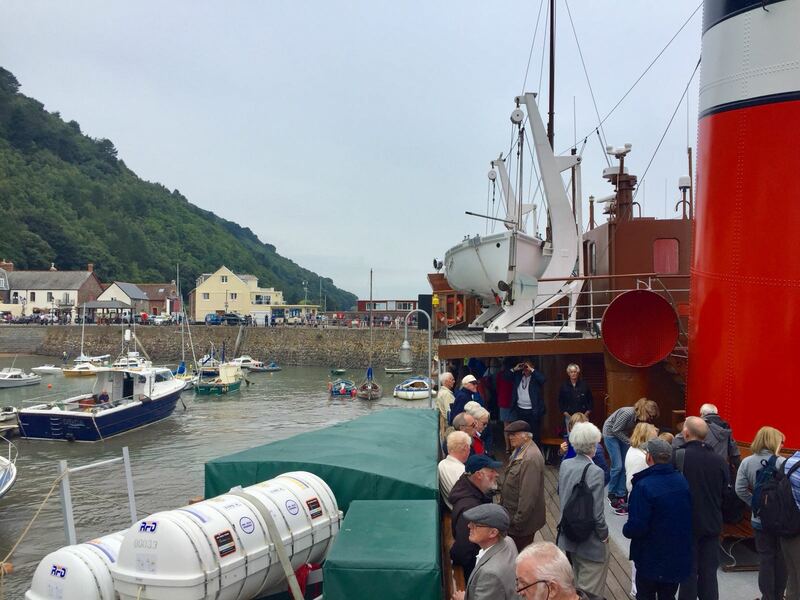 Click or tap below for a video summary of Waverley's cruise to Ilfracombe on Saturday 1st September. 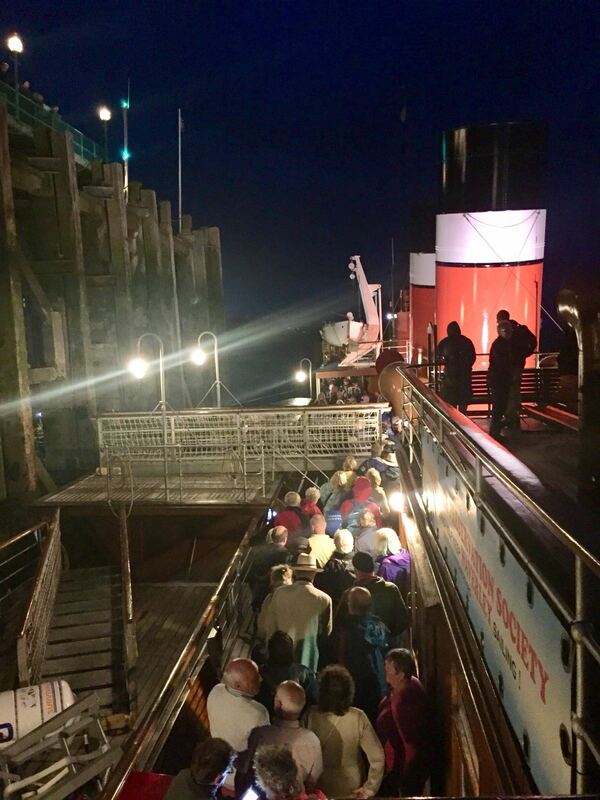 Waverley's cruise on Sunday 2nd September saw her heaving up the anchor at an early hour for her 7:45am departure from Clevedon for what was a day trip lasting over 14 hours - certainly good value at less than £4 per hour. 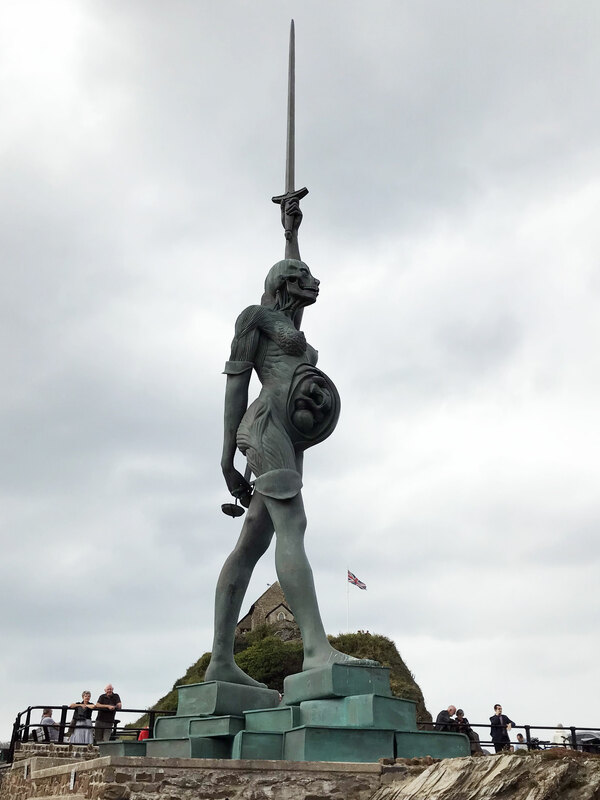 A cruise out to Lundy Island really is a sea-going experience. 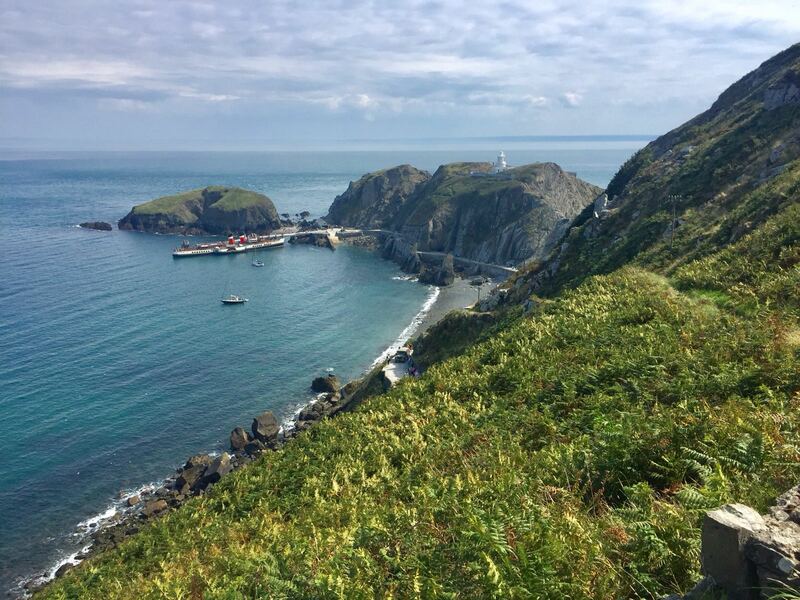 Lundy is just over 20 miles by sea from Ilfracombe and landing at the remote island is one of the must do steamer excursions. Since the pier was opened the process of getting ashore is less exciting than in the past when everyone had to be landed on the beach by small boat. 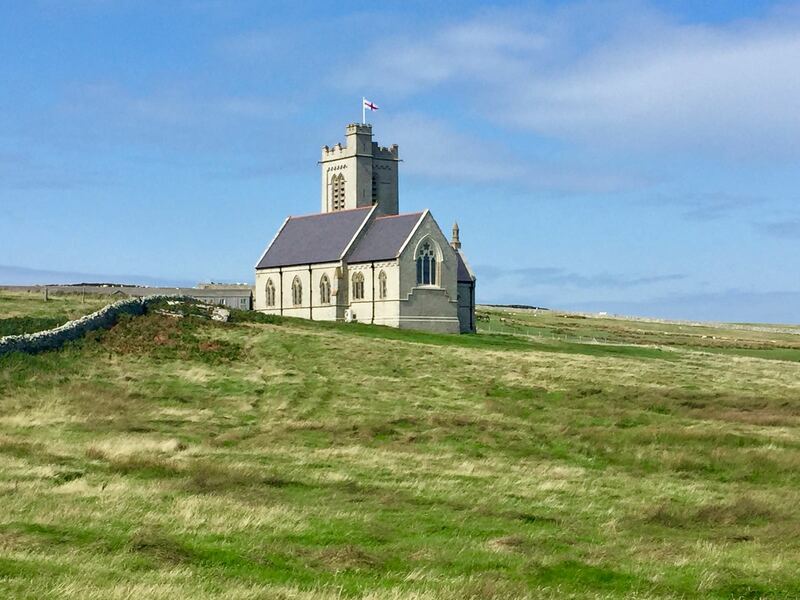 Lundy is the largest island in the Bristol Channel. It is owned by the Landmark Trust which now manage the 23 buildings and the camp site. 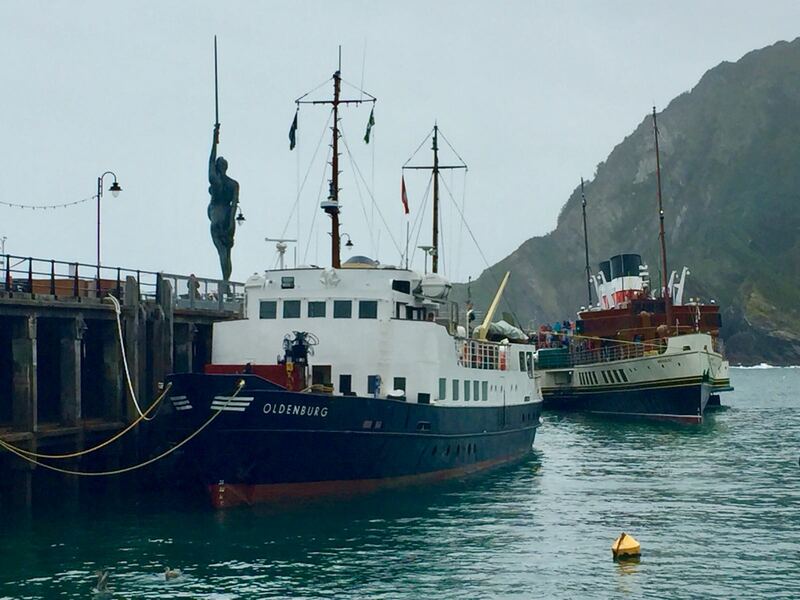 Sailings to Lundy Island on Waverley have always been popular and in particular sailing to Lundy on a Sunday usually attracts a large crowd. In 2018 this was certainly the case. 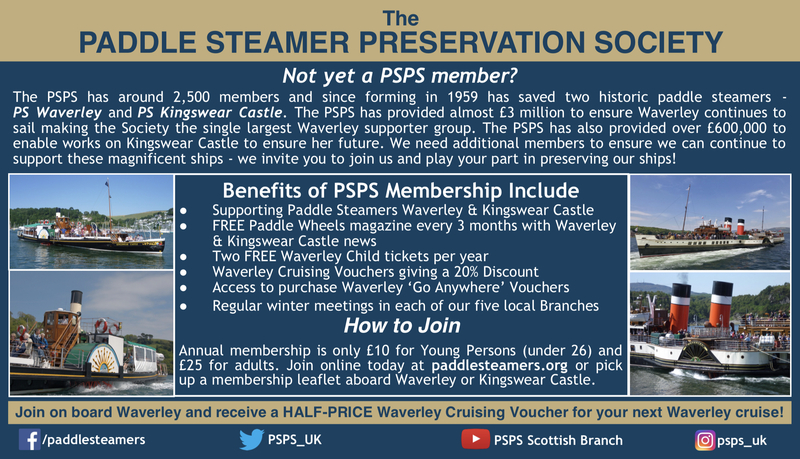 Once again Waverley found herself at anchor off Clevedon for the night but she didn't have just as early a start on Monday 3rd September. 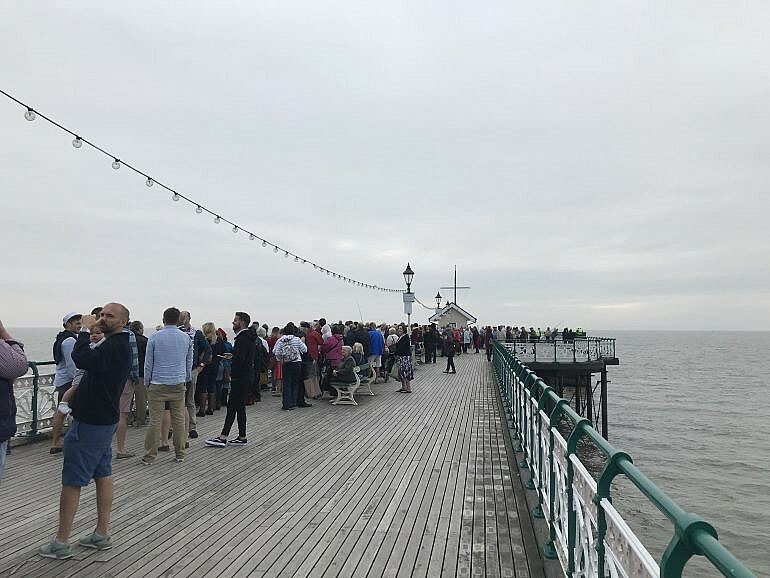 The steamer departed Clevedon at 9am and then crossed to Penarth and on to Minehead. A good number of passengers took the opportunity of joining the steam hauled train on the West Somerset Railway which at 22.75 miles is the longest heritage railway in England. Waverley then continued on to Ilfracombe to give her passengers some time ashore. 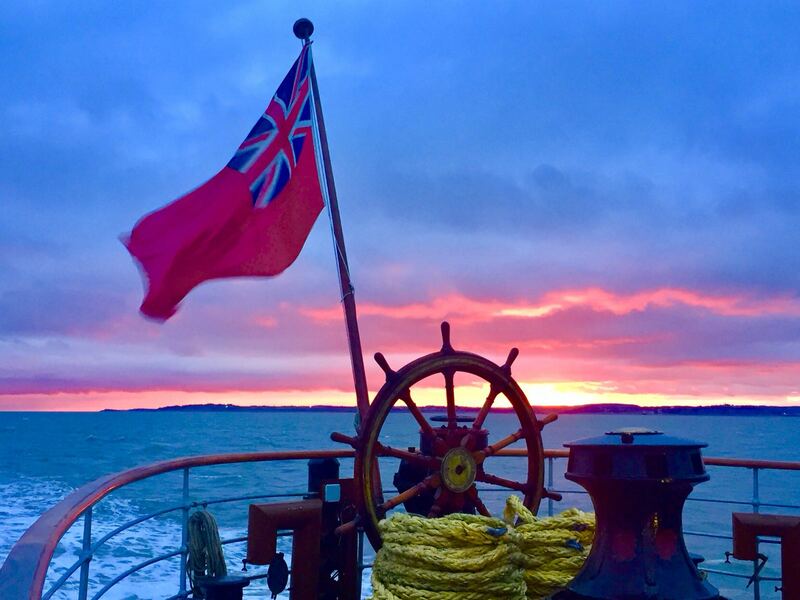 On Tuesday 4th September Waverley operated her cruise as planned which saw her cruise up the River Severn and under both Severn crossings before offering an afternoon cruise to view Flat Holm Island. 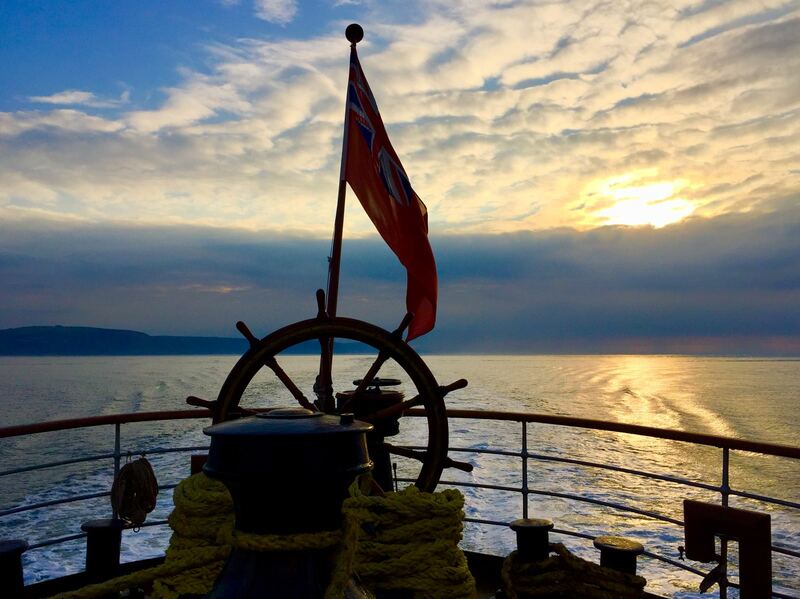 After completing her very successful five day Bristol Channel visit Waverley found herself anchored in Porlock Bay. She is next due to carry passengers on Friday 7th September from Weymouth, Swanage and Yarmouth for a cruise round the Isle of Wight at the start of her two week spell on the south coast.